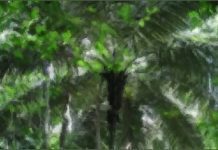 Species that are restricted to specialized, rare habitats, such as Myristica fatua (a swamp specialist tree), cannot afford to send propagules too far and risk arriving in inhospitable habitats. 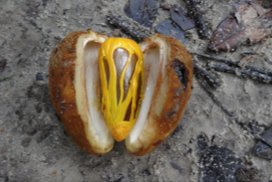 In a recent study published in AoB PLANTS, Krishna and Somanathan followed the fate of seeds from fruiting till seedling establishment to examine the ecological strategies that such species employ to escape from seed predators and find the right germination sites. They found that M. fatua bears a few large-sized seeds and fruits for extended periods of time, meaning that few seeds are produced at any particular point of time, thus escaping detection by seed predators. Dispersal over small distances within the swamp was facilitated by hornbills and crabs. 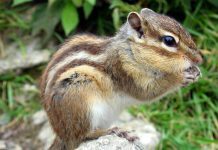 Do Oaks Encourage the Baby-Eating Chipmunks of China?